In this construction dispute, a homeowner sued a homebuilder for negligence, breach of express and implied warranties, breach of contract, and DTPA violations, among other claims. Shortly after moving into the home, the homeowner noticed water leaks and mold. The homeowner retained a contractor who estimated remedial costs for the damages to be in excess of $651,000.00 using the Xactimate software. At trial, the jury determined (1) that the difference in the value of the home as it was received by the homeowner and the value it would have had if it had been built according to the contract was $262,885.83, and (2) the reasonable and necessary cost of repair to be $651,230.72. The builder moved for judgment notwithstanding the verdict in which it argued that no evidence supported that damage award. The trial court denied the motion. The Court of appeals affirmed. 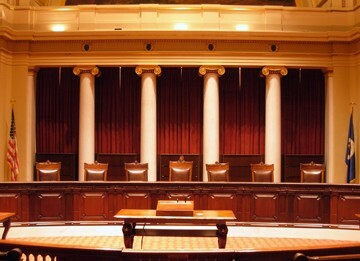 The Texas Supreme Court granted certiorari as to the following issues: (1) did the homeowner produce evidence of the difference in market value, as of the date of closing, between the house received and a house built according to the contract, and (2) did the homeowner present evidence that the estimated repair cost was reasonable and necessary. The builder argued that just because the remediation costs were determined using a widely used software program (i.e., Xactimate) did not prove that the cost was reasonable or necessary. The Court agreed. The Court also determined that estimated out-of-pocket expenses alone did not establish that the cost of repair was reasonable and that additional evidence was necessary. In this case, the homeowner did not present any other evidence, such as his own testimony or testimony by his experts, regarding the reasonableness of the repair costs. The Court stated that even though the homeowner’s expert testified that he used the Xactimate software and that such testimony explained how the remediation figure was derived, the testimony did not support the jury’s finding that the estimated cost of repair was reasonable. The Court determined that the evidence was legally insufficient to support the jury’s finding that $651,230.72 was a reasonable and necessary cost to repair the house. The Court further determined that the homeowner did not produce evidence of the difference in market value, as of the date of closing, between the house received and a house built according to the contract. Therefore, the Court reversed the court of appeals’ judgment and render judgment that the homeowner takes nothing on his breach-of-contract claim.